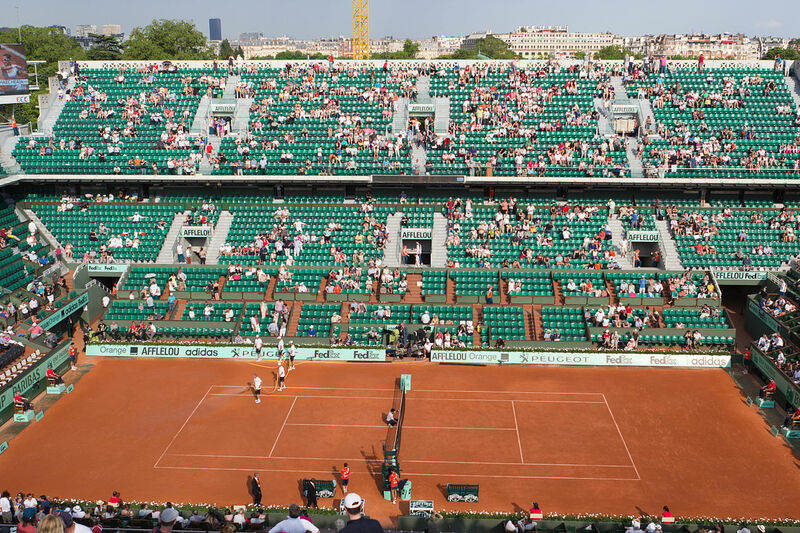 It's official; the hotly anticipated French Open tennis tournament, otherwise known as the Roland Garros, will be held from May 21st to June 10th! The ticket office is open, so it’s time to book your seats. Various package offers are available, including Discovery, Emotion, Passion … Whether you just want a seat, or a buffet, a behind the scenes tour, and access to the restaurant La Divine (aka Suzanne Lenglen), it's up to you! Tennis fans know it: the French Open offers a wealth of sporting thrills. First, there is the excitement of anticipating who this year’s winners will be. Will Nadal pull off the incredible feat of an 11th win here? Will he be stopped by Novak Djokovic, Stanislas Wawrinka, or some rising young star? Will Jeļena Ostapenko be victorious again? Or will Simona Halep at last clinch the title? So many questions that will soon be answered. And then there is pure emotion. The surge of feeling that takes you when the clay flies, when the perfect forehand is propelled from the racket, a player rushes to the net or sprints for the baseline with their entire body outstretched to make a passing shot of perfect purity, or an unbelievably well-executed lob, when force of will combines with supreme athletic skill, when ... Your heart will pound, and your muscles stretch with theirs. At the conclusion of each point you’ll applaud the stunning sportsmanship you have witnessed. Every year the atmosphere is electric! Book your stay at the Hotel du Continent right now and experience magical moments at the French Open.